This is a great weekend to take a road trip to see the super bloom going on in Southern California. It’s so big you can even see it from space! One of the best places to go at the moment is Carrizo Plain National Monument, east of San Luis Obispo. 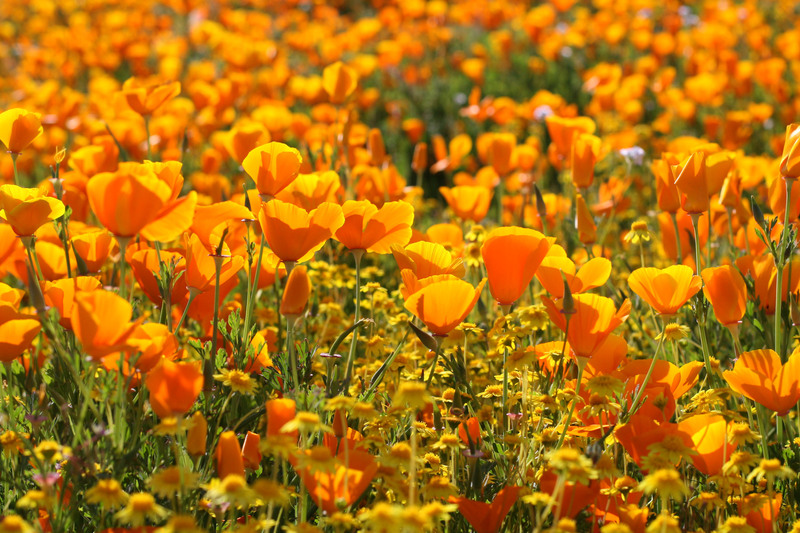 A shorter distance away, if you are traveling from Los Angeles, is Antelope Valley California Poppy Reserve, which still has some flowers in bloom. You could also check out desert flowers blooming at Joshua Tree National Park which, like all National Parks, is free this weekend (4/15-4/16) and next weekend (4/22-4/23). For more information on the wildflowers, the best places to see them, and current images- check here.